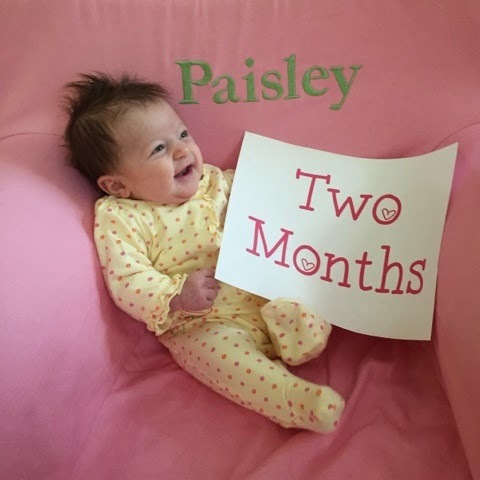 LIFE is better in PINK: Mommy Mondays: Paisley Jean is Two Months! 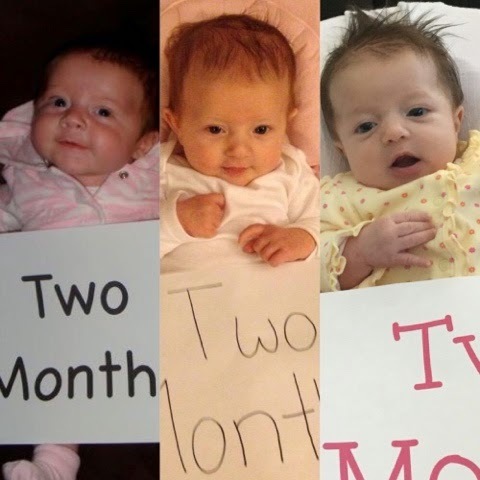 Last Wednesday, sweet little Paisley turned two months old! I'm having a hard time believing how quickly we reach these milestones! It seriously gets faster with each baby! At two months, Paisley already has quite the personality. She loves her bath and smiles the whole time! She really enjoys taking all of her naps on top of me (which is why my blogging has been very very slow these days). Paisley is also starting to really fall in love with her big sisters, always smiling at them when they talk and sing to her! One of Paisley's favorite things to do is look at herself in the mirror and smile! 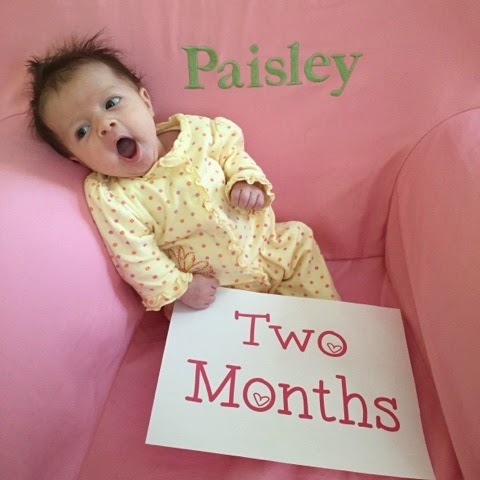 On Friday we had Paisley's two month doctor appointment. She got a clean bill of health and two nasty shots :( I swear she cried wayyyyy harder than my other two did. Like to the point where she was still whimpering in her sleep 2 hours post shots. Ugh! Other than the shots, the appointment went great. Paisley is continuing her trend of being the smallest of the Hilsoky Girls!